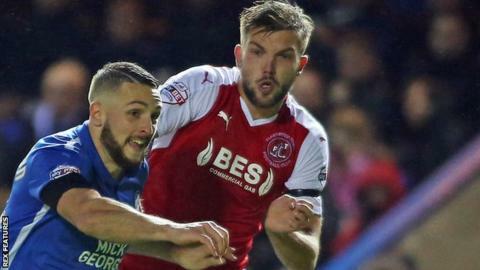 League One side Fleetwood Town have extended the loan spell of Leicester City defender Joe Davis for a second time until 3 January. The 22-year-old joined the Cod Army at the start of October and extended his loan last month. He moved to Leicester in 2014 after beginning his career at Port Vale but is yet to feature for the Foxes. Davis, who is the son of Crewe manager Steve, is available for Fleetwood's game at Walsall on Saturday.